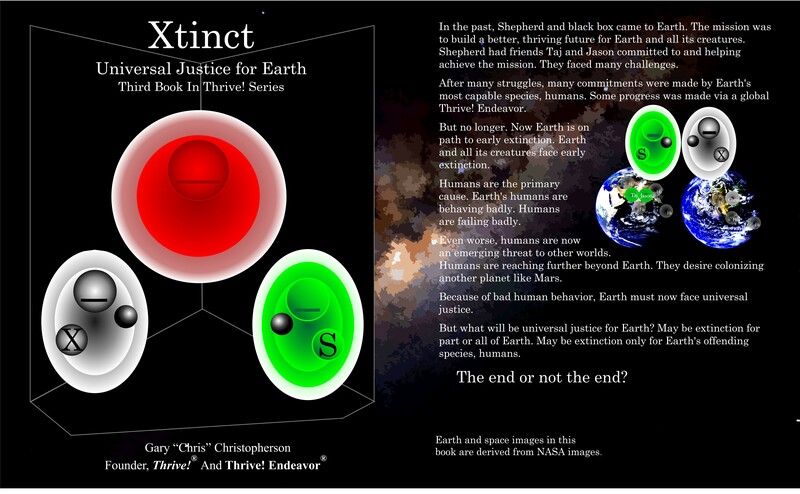 Xtinct - Universal Justice for Earth, an illustrated science fiction paperback book, is available for purchase via Amazon.com or as a free download [PDF - 12 MB]. Copyright 2018. Gary Christopherson. All rights reserved. #Thrive #ThrivingFuture #ThriveEndeavor #AllThriveForever #T!